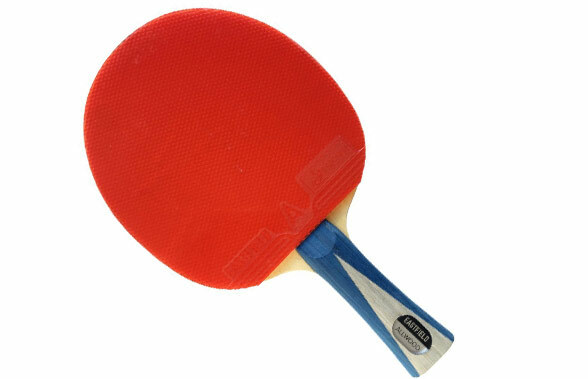 Deciding on a ping pong paddle can be difficult due to the huge variety of choices available. 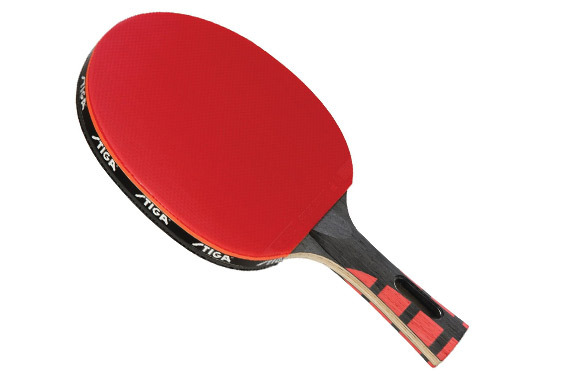 As far as pre-assembled paddles go, the two big brands out there are STIGA and Killerspin. Both make very good paddles that excel in different areas and provide different benefits at different price points. Also, there are some newer brands, like Eastfield, that also make some really good, affordable paddles. 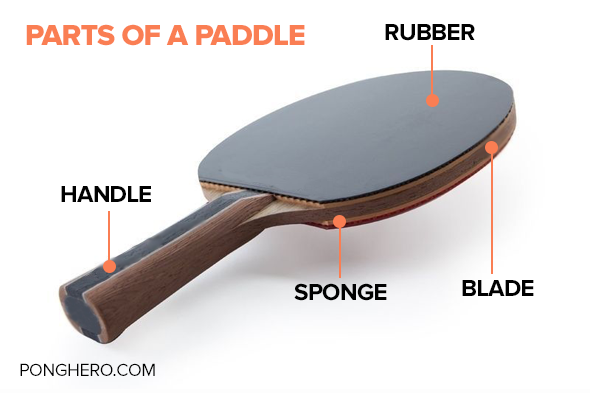 When looking for a paddle it's important to consider the following components: Blade, Rubber, Handle and Sponge. If you are unsure about what these terms mean, check out the diagram to the right (also you can learn more here). Each component is important and so it's smart to make sure that you decide on a paddle that delivers reasonably well in each. Below is a list of what we think are the best paddles in each price range. The Palio Expert 2 is a really solid paddle with ridiculously good rubber at a budget price. Unlike many other sub-$40 paddles, the Expert 2 comes with professional grade rubbers that rival those found on much more expensive custom rackets. The CJ8000 rubbers have an extra tacky topsheet that allows for generating a serious amount of spin. The Palio Expert 2 does not generate a lot of speed though. 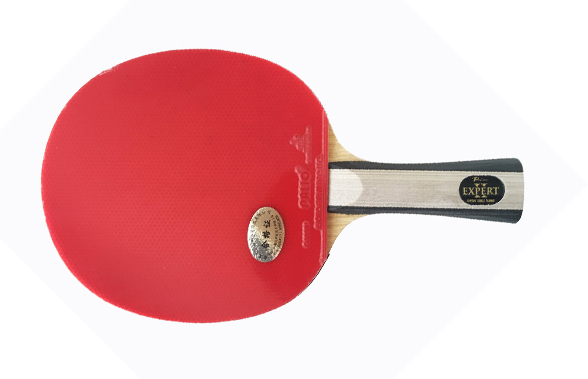 The sponge and blade are designed to provide a high level of control which makes this paddle ideal for advanced beginners or intermediate level players. The Expert 2 is the perfect paddle for improving your game by learning to deal with difficult spins by your opponent and providing you with enough control to keep the ball on the table. We highly recommend the Palio Expert 2 as a great paddle for someone on a budget. You can see our full review here. The STIGA Evolution is a tremendously popular paddle due the level of quality it offers at this price point. It's got STIGA's premium rubber that is capable of putting a serious amount of spin the ball - especially during service and hard top-spin shots. This is a huge step up if you're used to playing with a $20-$30 racket. The evolution also has a really comfortable and well contoured flared handle that feels good in your hand. It's no wonder that this paddle is always a bestseller. The Sponge on the evolution is also especially good for a paddle in this price range. 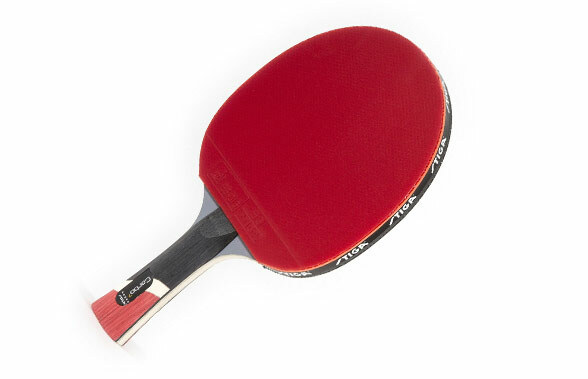 It provides an extremely consistent bounce that makes this paddle great for returning slams and other difficult shots. I think it's pretty undeniable that that this is the best paddle under $50 and if that is your price limit, you should definitely buy the STIGA Evolution. You can see our full review here. The Eastfield Allround combines the Eastfield A-Soft 2.1mm rubbers and Eastfield Allwood 5-ply blade into a very nice package. These premium Eastfield rubbers combined with the consistency and control of the blade make the Eastfield Allround a perfect combo for beginners and intermediate players. Without limiting the ability to put some serious spin on the ball, the Allround enables players to improve their defensive game so they can effectively take on more skilled opponents. If you are a more aggressive player and looking for a little bit of step up from the Evolution, the STIGA Pro Carbon is a great choice. It has the same great rubber, quality feel and nice handle as the Evolution but instead of a 6 wood ply blade it's got a 7-ply blade with 2 layers of carbon that have been molded into the blade. The carbon layers offer significantly more rigidity which gives the paddle more power, but this comes at the expense of control. The carbon material also gives the paddle a larger "sweet spot" so that you can more consistently deliver high-speed and high-spin returns to your opponent. If you have an aggressive style of play and the core of your game consists of loop strokes with lots of topspin, this may be the perfect paddle for you. The carbon plies are also lighter than wood and so this paddle can have the extra layers without adding significant additional weight. You can see our full review here. 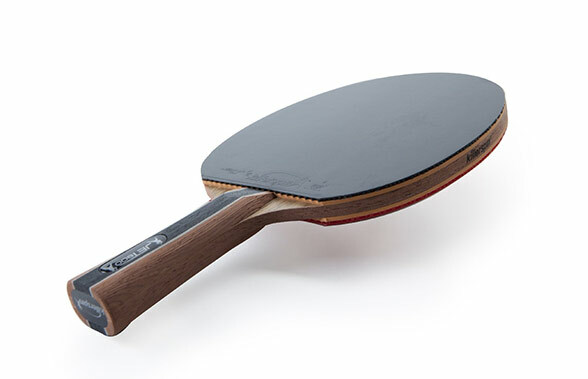 For the player looking for the best all around paddle under $100, the Killerspin Jet 800, is an extremely lightweight paddle with a 7-ply wood blade with 2 layers of carbon composite material. The great thing about the Jet 800 is that it provides you with a blade that feels very fast but due to the quality of the rubber and sponge, it doesn't sacrifice your ability to control ball placement. You can still make finesse shots with accuracy and control, but you also maximize your ability to make hard-hitting shots. The Killerspin Jet 800 comes with Killerspin's top-of-the-line rubber, the Nitrix-4Z. This is an extremely grippy top-sheet that, when combined with the quality sponge and carbon blade, allows you to put an insane amount of spin on the ball. At the same time, it's surprisingly forgiving for returning high-spin shots unlike the rubber on other paddles. The Jet 800 really is the best of both worlds and is easily the best paddle under $100. You can see our full review here.